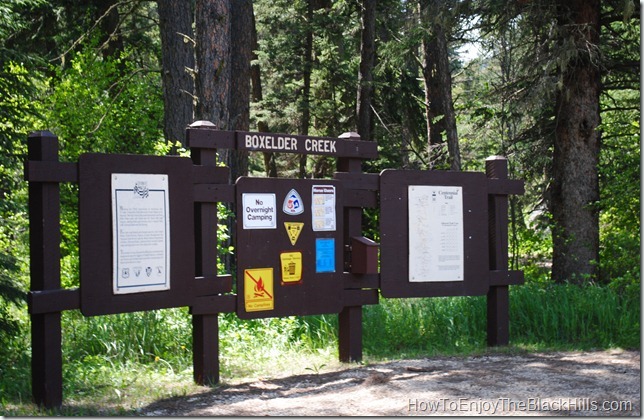 Just down the road from Nemo you’ll find the Boxelder Creek Trailhead for the Centennial Trail. It is 6.1 miles south of the Dalton Trailhead and 7.6 miles north of the Pilot Knob Trailhead. This is a beautiful area with stream crossing and thick stands of pine. If you plan on staying in the area, the Boxelder Forks Campground is about a mile down the road or Nemo has more modern accommodations and a restaurant. 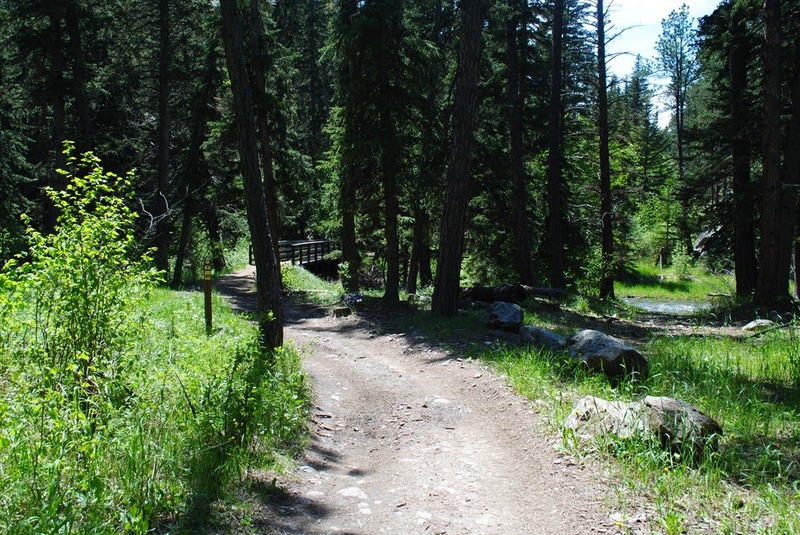 This can be a busy portion of the trail during peak season. I’ve seen horseback riders, hikers, mountain bikers and ATV riders all on this part of the trail. OHV’s are allowed on some parts of the trail, view the Northern Black Hills BHNF Motorized Recreation Map for details. I you plan on doing a lot of hiking in the Black Hills or on the Centennial Trail I would encourage you to purchase a copy of Exploring the Black Hills and Badlands: A Guide for Hikers, Cross-Country Skiers, & Mountain Bikers . It is a great guide book for the area. Also Black Hills – Northeast, South Dakota Trails Illustrated Map #751 if a very good map of the area. It has the trailheads and campgrounds marked.